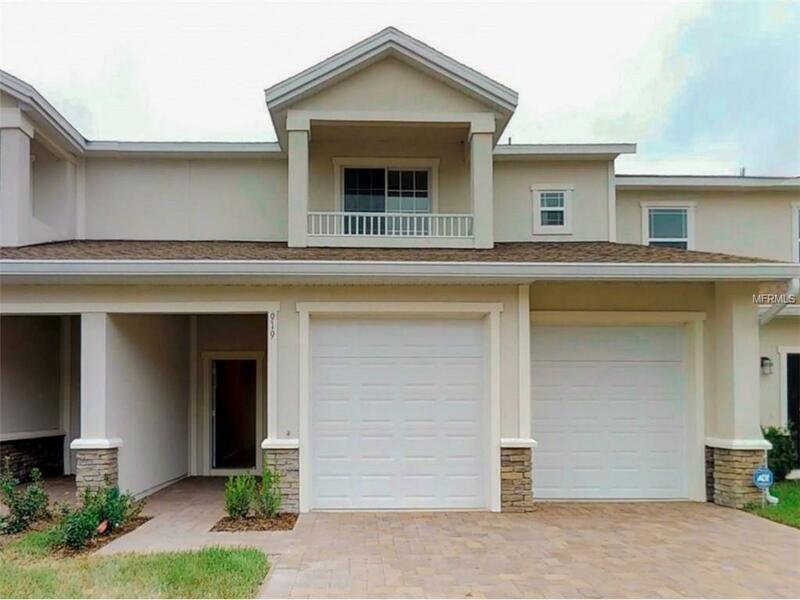 Welcome in this uniquely designed 3 BED 2/1 BATH CLASSIC STYLE *TOWNHOME* nestled in the sought after community, **Lakefront Village in Clermont FL**, with stunning views of JACKS LAKE. Entering through the front door one is immediately greeted by upgraded BEIJE 12" CERAMIC TILE FLOORINGS that flows throughout the living area, finishing into the dinning room. The KITCHEN is equipped with ALL STAINLESS STEEL APPLIANCES such as **french door refrigerator, glass top range, built in microwave and dishwasher**. All 42 ESPRESSO CABINETRY combined with GRAY GRANITE COUNTERTOPS and contemporary BACKSPLASH contribute to modern and clean ambiance. Going up the staircase to the second level there is the MASTER SUITE, featuring a balcony, great for relaxing during the cool fall nights. The 2nd and 3rd BEDROOMS with Jack and Jill bathroom have stunning views to the lake . The basement level has a BONUS/FLEX ROOMS adds extra 276 sqft to heated. Screen patio with access to the backyard and the lake. Park your car on the brick paved driveway outside the 2 CAR GARAGE and be amazed by all upgraded features and privacy of this home.